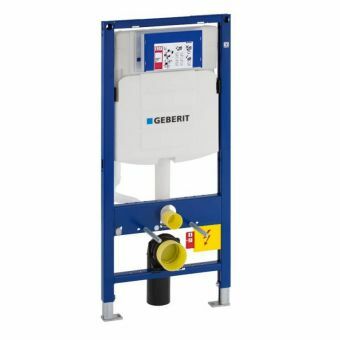 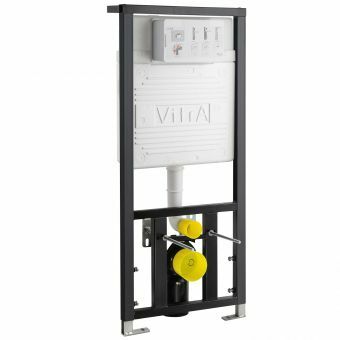 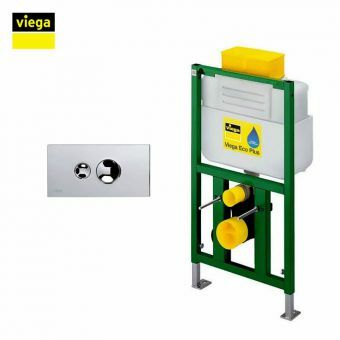 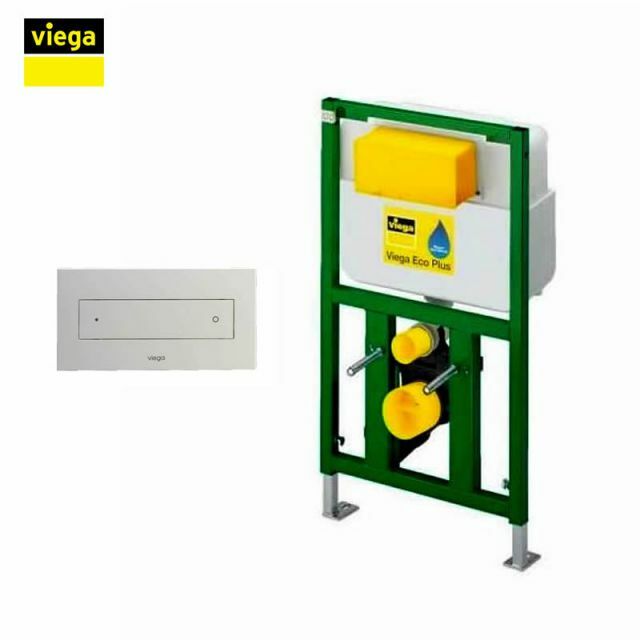 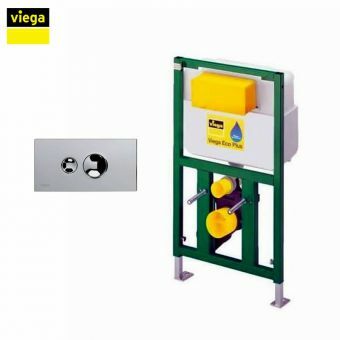 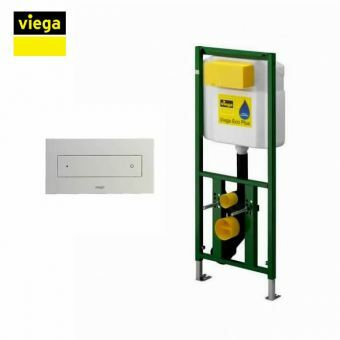 Viega offer a package here that will make setting up a proper cistern and flushing system easy and efficient for both you and the fitter. 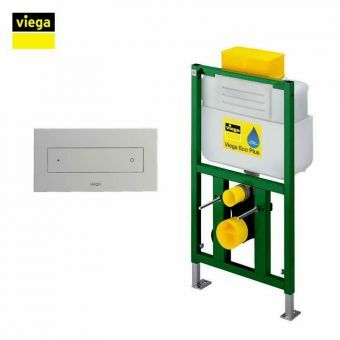 Included in the price is the Viega Eco Flush 83cm Front Flush Framed Cistern, the Visign for Style 12 Dual Flush Plate and a fixing set. 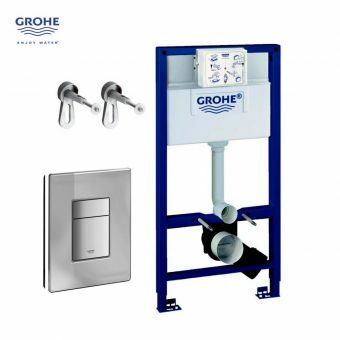 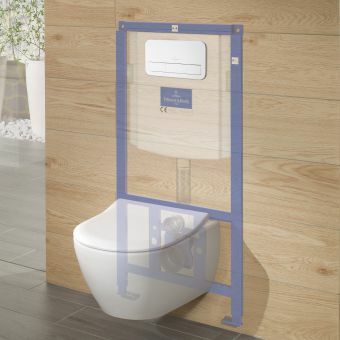 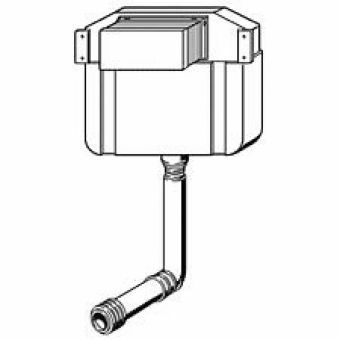 The Eco Flush Cistern is a high quality piece that offers both installation flexibility and durability, with it's adjustable WC connection elbow, allowing it to work with many different WC's and a solid steel construction that will last in even the toughest of conditions. 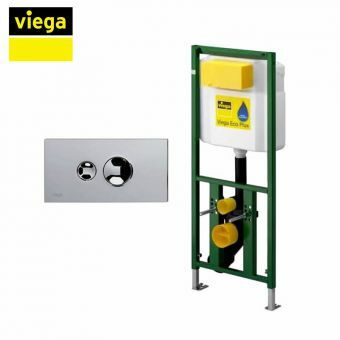 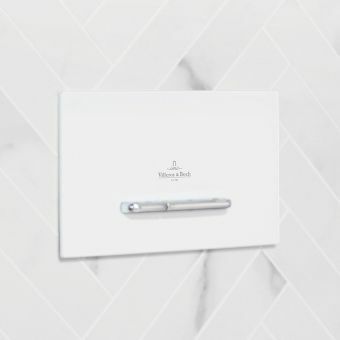 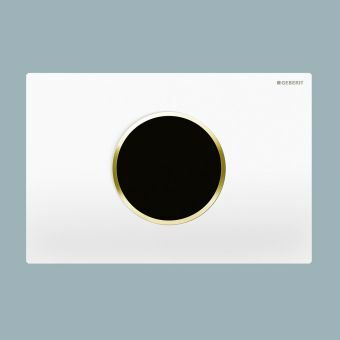 Combining this with the Chrome plated Visign dual flush plate which has sleek modern looks and great practicality and useage, makes for both a vital element of your bathroom and allows you to keep within style.